Peter and five of his children arriving at his parents' home at Balmoral in Brisbane. These snippets were extracted from home movies shot by Peter's brother-in-law, Jim Boyle in the 1950s. Occupation Biochemist, Commonwealth Health Dept. Peter was born at his parent's home at Woodend, Ipswich in south-east Queensland, the sixth child and third son in the family. 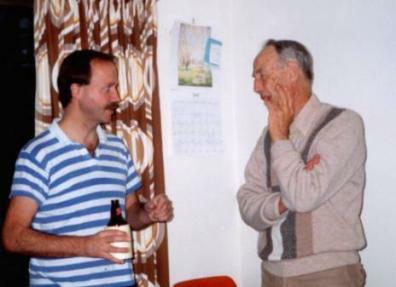 When he was three years old, the family moved to a new house at 19 Kendall street, East Ipswich, where Peter spent the rest of his childhood. The Kendall street house, although large, was still bursting at the seams with a family that eventually totalled 11 children. 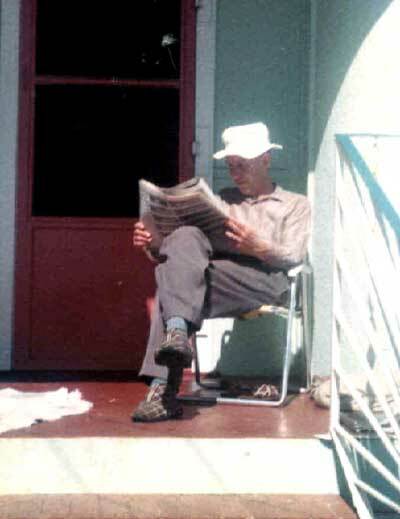 Until he went to Sydney as a young man to study, Peter never had a bedroom to himself – he and his brothers slept out on the verandah of the sprawling Queenslander-style house. For the next four years, Peter and his brother Frank went to St. Mary's Christian Brothers College in Ipswich, until their mother decided she could no longer afford the fees because of the Depression - so the boys went back to the State school. Peter returned to the Christian Brothers for his secondary education. Since he was one of 11 children, study conditions weren’t always ideal. “It was hard to find somewhere to study – my older sisters weren’t exactly quiet around the house, and eventually I had to make do with a space under the front stairs, out among Dad’s stag-horn ferns”. 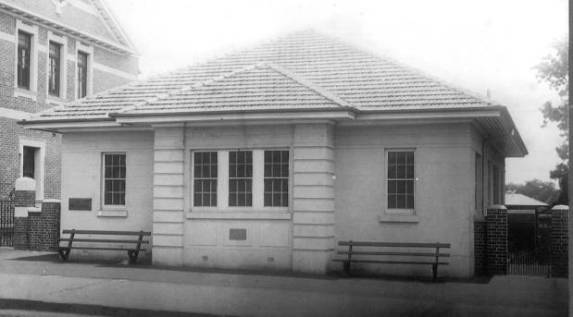 (above): St. Mary’s Christian Brothers College, Ipswich in the 1930s, where Peter was a student for his high school years. 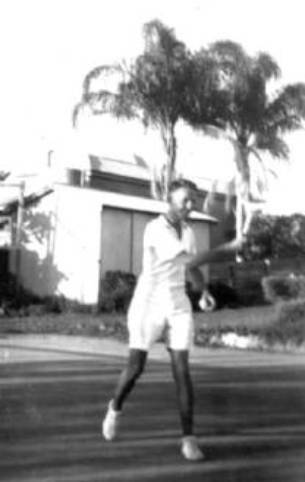 Sport was an important part of the teenage Peter’s life. He played for the East Ipswich Cricket Club and won the Binnie Cup for the best batting average in the 1940-41 season, and the J. Dale Cup for best batting average for Ipswich and West Moreton in the same year. Noticing the length of the rallies, two onlookers took the trouble to count the number of times the ball crossed the net. In one game of seven points, the ball was hit 489 times. One point took 134 strokes, another 108. (.....) Some of the games prior to this, when the players were fresher, were even more protracted. "I'd had a normal week, and was quite relaxed, but Frank had had to work the night before, so was hardly rested before going on court, which made my task easier". Peter completed his Senior (Leaving) exam at the Brothers, and although he says he “hadn’t a clue” about what he really wanted to do, started studying to be a teacher. During that year at Teachers’ College, he was paid a small student allowance – an amount that had to be repaid when he realised he wasn’t suited to the classroom. So Peter entered the Commonwealth Public Service as a clerk, before gaining a cadetship in 1941 as a trainee biochemist that involved five years of study at the School of Public Health and Tropical Medicine at Sydney University. Peter’s mother Lily was reluctant to see one of her three sons travel so far, particularly in wartime, but for him, it was the chance of a lifetime. 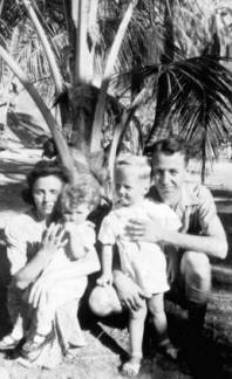 Peter’s 10 brothers and sisters had, until that point, stayed in the south-east Queensland region around Ipswich, although his sister Kathleen later ventured further afield, to the United States, as a war-bride, after the end of World War Two. The move to Sydney was the turning point in Peter’s life. While in Sydney, he found lodgings at Randwick with the family of Gertrude Williams. 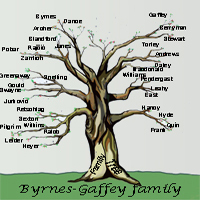 Gertrude was the much-loved aunt of Joan Gaffey, and had taken her teenage niece in, when Joan left her father’s Hunter’s Hill home on the other side of Sydney. The Williams’ house was home to several relatives and this extended family helped Peter adjust to life a long way from his Queensland roots. It’s perhaps to be expected that the two young people, living under the same roof and still in their teens, would make a match of it. After a two-year courtship, Joan and Peter married in Sydney's St. Mary's Cathedral. After their marriage, the couple lived briefly in Darley Road Randwick, near Joan’s mother’s family. Accommodation in wartime Sydney was extremely hard to find; they eventually found a room in the home of a woman whose husband was away fighting in the war. They were living there at 1 Norfolk Avenue, Beverley Hills, their first child, son Peter, was born. Living in a single room with a baby was not unusual for the time, but when a second child arrived less than a year later, the time had come for them to look further afield. Joan’s father Tom Gaffey, who’d retired from his tram driving job, was working part-time for a butcher at Hunters Hill. His employer owned a shack at Valley Heights in the Blue Mountains more than an hour’s train ride to the west of the city, and after some negotiations over rent, Joan and Peter moved in. The owner had wanted nearly £4 a week rent, an amount simply beyond Peter’s weekly pay packet of £5; the landlord’s son came to their rescue, and persuaded his father to drop the exorbitant rental to £2/10/-. Peter travelled each day from the mountains to his work and study at Sydney University – but soon realised that the primitive life in the mountain shack with two young children was no life for Joan. The risk of bushfires was too great, and snakes were also a problem. His only alternative was to suggest Joan take the children to Queensland, to live at Ipswich with his parents, and with some reluctance, she agreed. After his graduation, Peter was able to work for the Department of Health on a relief basis at Lismore in northern New South Wales – an opportunity he snapped up, as it meant he could travel to Ipswich at weekends to see his family. 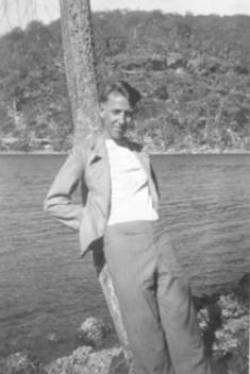 From Lismore, Peter was given more relief work at the end of 1946 in Townsville and Cairns, work which meant the family could be together again. When the work in north Queensland came to an end, Peter considered taking a job at the University of Queensland, but the chance of a permanent position with the Health Department in Toowoomba came up – and this time, Joan and Peter made a more permanent move. 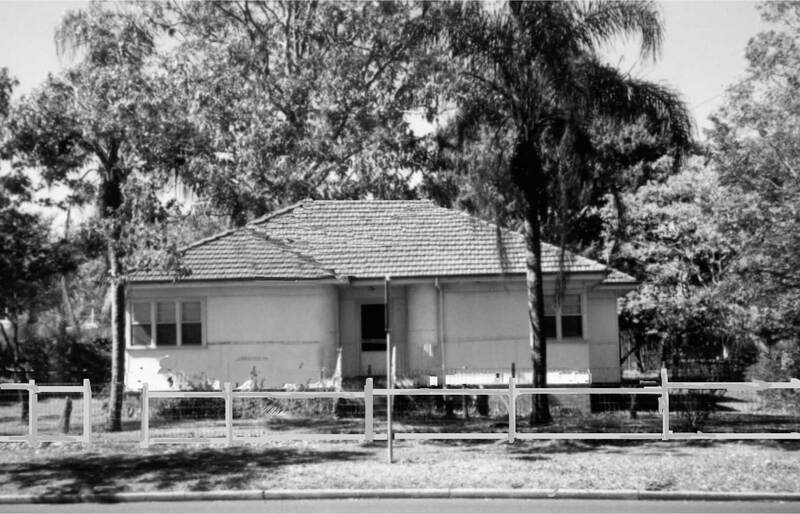 The original Commonwealth Health Department Laboratory in Ruthven Street, Toowoomba (below), where Peter worked, from when he arrived in Toowoomba in the late 1940s until the laboratory was transferred to a new annex in the grounds of the Toowoomba Base Hospital, in James Street. The older children enjoyed visits here while their father was working, and took a great interest in the guinea pigs kept at the laboratory for various tests. 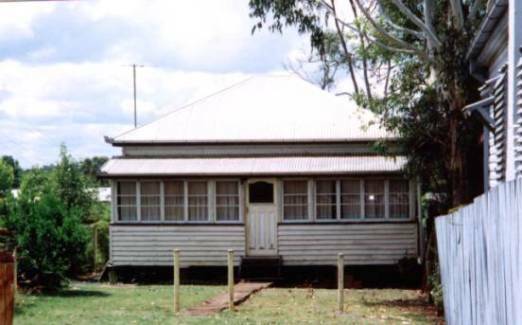 For the first few years in Toowoomba, the family moved around, to Mary Street (opposite the Grammar School), and Herries Street, before a permanent home was found in a Department of Health house at 350 South Street, Harristown, where the family lived for nearly 30 years. 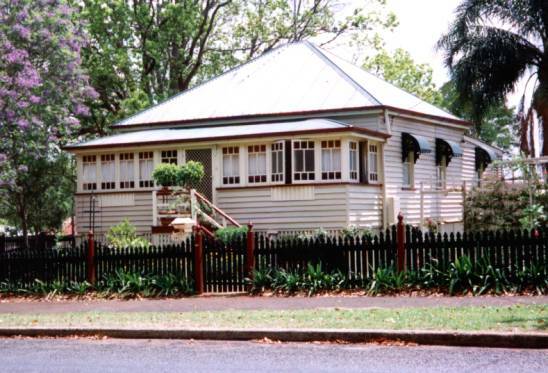 (above) 147 Mary Street, Toowoomba, where Peter and Joan, along with their three eldest children, lived in their early days in the Garden City of the Downs. (above) When the lease on 47 Mary Street expired, the young family moved to this more modest dwelling at 9a Herries Street for a year, before the long-term move to South Street. The South Street house had one big advantage, apart from its size (it had to accommodate a family large even by the standards of the day) – it was on a double block, which provided plenty of room for the five boys and four girls to play. The backyard was the scene of many impromptu football and cricket games, while the sole piece of brickwork, a chimney, provided a tennis hit-up area, much to Joan’s consternation, as the hard-hit ball often missed its target and hit the adjacent fibro with a house-resounding thump. The house at 350 South Street, where the Byrnes family lived for nearly 30 years. Peter describes the early years in Toowoomba as 'somewhat difficult'.... "for example, we did not have a car until just after John was born in 1955. But we certainly made the most of the FJ Holden...clocking up the mileage very quickly including regular trips to Brisbane". 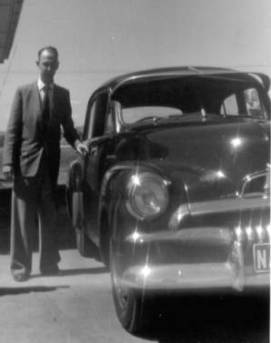 The FJ Holden survived the driving lessons Peter gave to his teenage children, and even survived a roll over inflicted on it by daughter Mary, during a drive home to Toowoomba from Brisbane. (Fortunately, none of the family was seriously injured in the crash – although Mary was fined for driving with an overloaded vehicle!) That car was resuscitated at the panel beaters, and was succeeded by two more Holdens, first a Kingswood, then a Commodore that served Peter and Joan well in their later years. During the children’s growing-up years, Peter was constantly in demand to help with a busy homework schedule, and carried out his and Joan’s belief that all their children should be educated to best of their ability. Achievement in education was a strong motivator in the household. 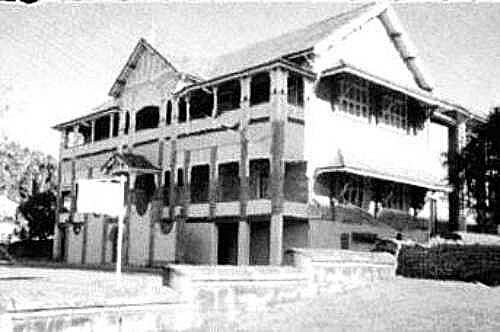 After primary grades at the local parish school, St. Anthony’s, the girls were sent to St. Ursula’s in Taylor Street, a college run by the Ursuline nuns, while the boys attended St. Mary’s Christian Brothers’ College in West Street. Both schools were some distance from the family home at Harristown, and for most of the school years, transport was by bicycle, unless the children could prevail on their father for a ride in the Holden. 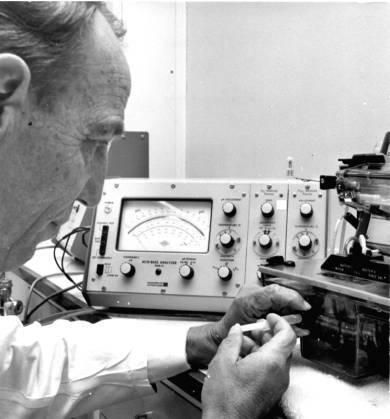 left: Peter at work in the Commonwealth Health Department laboratory, late 1970s. 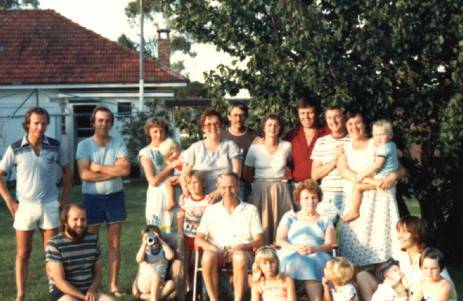 (above) Peter & Joan (seated in centre) with many of their children, their spouses, and grandchildren in the backyard of 350 South Street, c1981. 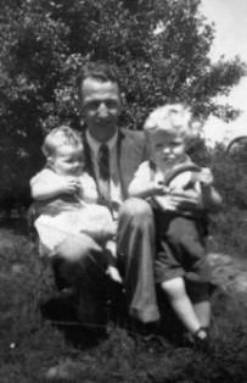 After Peter's retirement in 1982, Joan, Peter and their youngest son Danny moved to a new home in Toowoomba. The house was in walking distance of the University of Southern Queensland, and the university’s grounds and gardens became one of Peter’s favourite walking routes. 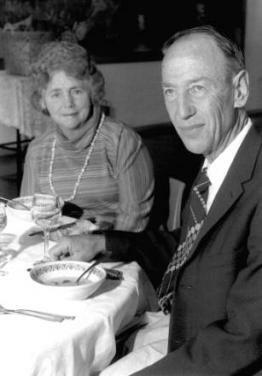 below: Peter and Joan, at a retirement luncheon in Peter's honour at the Darling Downs Institute of Advanced Education (later the University of Southern Queensland). Danny’s sudden death in 1984 was a tough time for the whole family. Cancer was not diagnosed until a matter of a few weeks before, and in Peter’s words at the time, “It’s been the hardest thing I’ve ever had to bear in my life”.